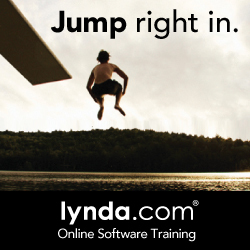 Lynda.com is a collection of self-paced, in-depth video tutorials covering business, design, computing and web subjects, and software programs. The instructional videos come with exercise files and certificates of completion. Computing and IT subjects covered include, programming with Java, C, R, Python, PhP, Scratch and Go (amoung others), UX design, designing Apps for iOS and Android, Big Data, Hadoop, Data Visualization, Responsive Web design and many more. Lynda.com is also available as an App for both Apple and Android devices. Select the Menu list (top left of the screen). In the text box under Web Portal type rmit.edu.au and select "login". At the Authentication screen, enter your RMIT ID and Password and select "login". Select "open" at the prompt to "open content in Lynda.com.